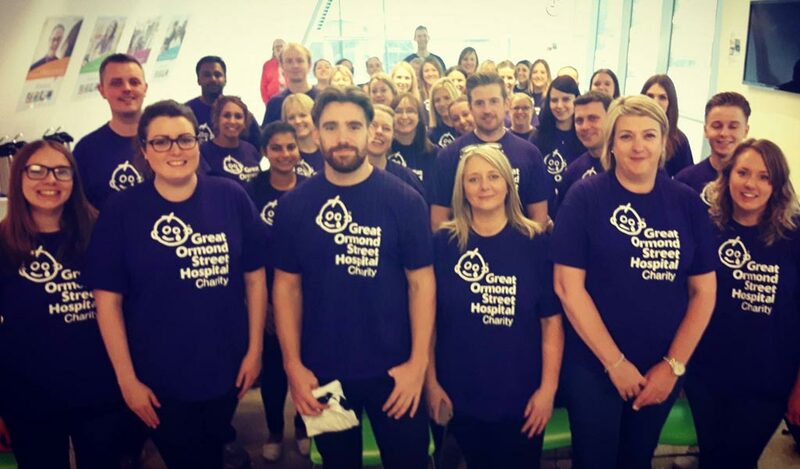 2016 has been quite a year for us and our partnership with Great Ormond Street Hospital Children’s Charity (GOSH). As we come to the end of our second phenomenal year of fundraising, it’s time to tally up the total and work out what this actually means for the hospital, its patients and staff. 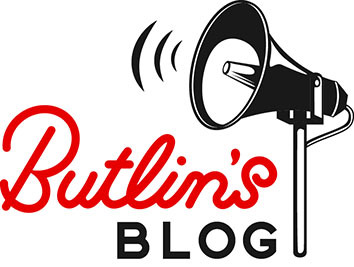 So without further ado… we’re beyond excited to tell you that throughout 2016 Butlin’s have raised close to £150,000! From our on-resort teams to everyone in Central Support, the whole Butlin’s team have worked incredibly hard over the last 12 months, taking part in fun and sometimes tough challenges to fundraise for GOSH. With the money raised this year added to our 2015 total, we’ve provided GOSH with two ventilators, a new Play Team Specialist, new Leukaemia and Lymphoma equipment and a Sensory Voyager. As our total continues to grow into the New Year, we’re working towards funding new furniture and equipment for a new 4 bed ward. 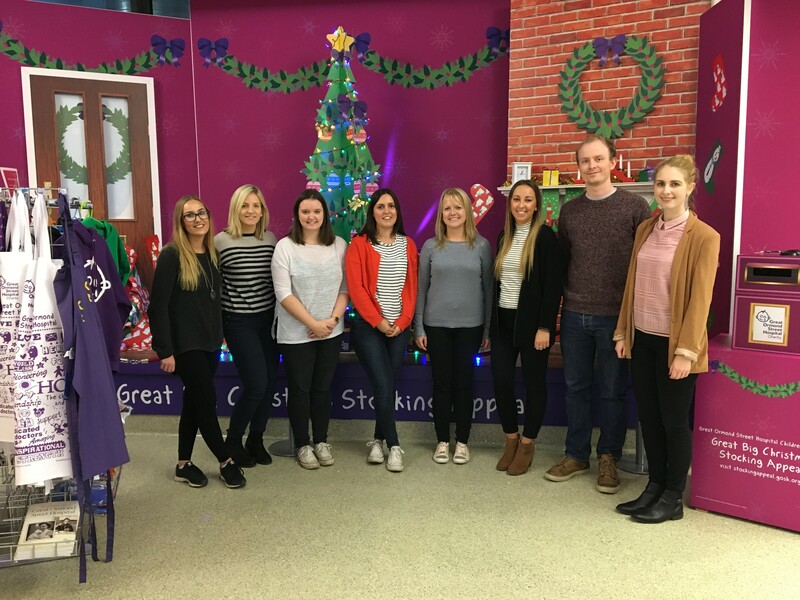 To get a bit closer to the projects we’re funding, some of us headed down to GOSH to do some volunteering over the festive period. 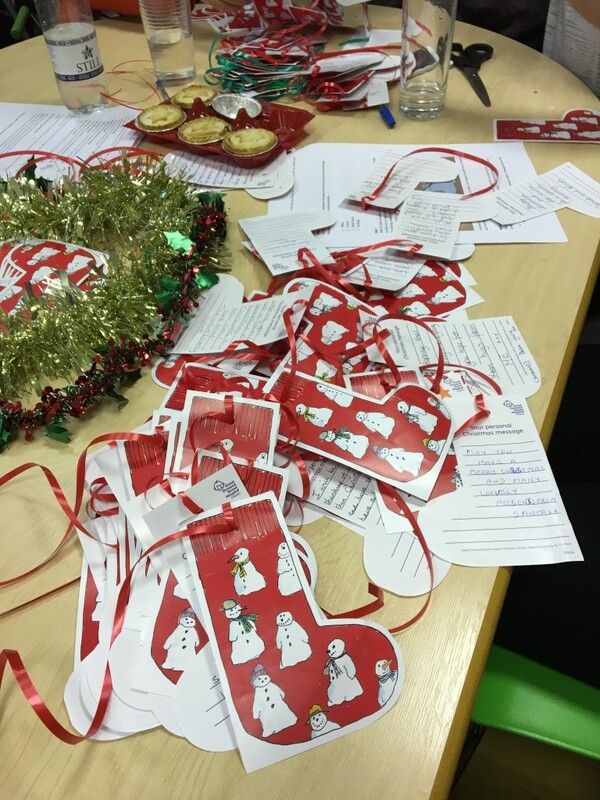 As many of you may know or saw through our supporting email, GOSH launched their Great Big Christmas Stocking Appeal which encouraged supporters to write a message of hope on a stocking. A small Butlin’s team then spent the afternoon stringing up these wonderful messages and hanging them up around the wards for patients, parents and staff to read. With some of the messages so sweet and heart-felt, it’s really easy to understand how something so small can make such a big difference in bringing festive cheer to everyone spending their Christmas holidays at GOSH. To top off our already growing Christmas spiritometer, myself, Head of PR Andrew, Sharee from our Skegness resort and Kevin from Bognor Regis gathered at the GOSH Christmas Party. This year’s theme was The Snow Ball. And a royal ball it really was. We had a sneaky wander round before the party kicked off to admire all of the stalls and activities laid out for the children and their parents or guardians to enjoy together. 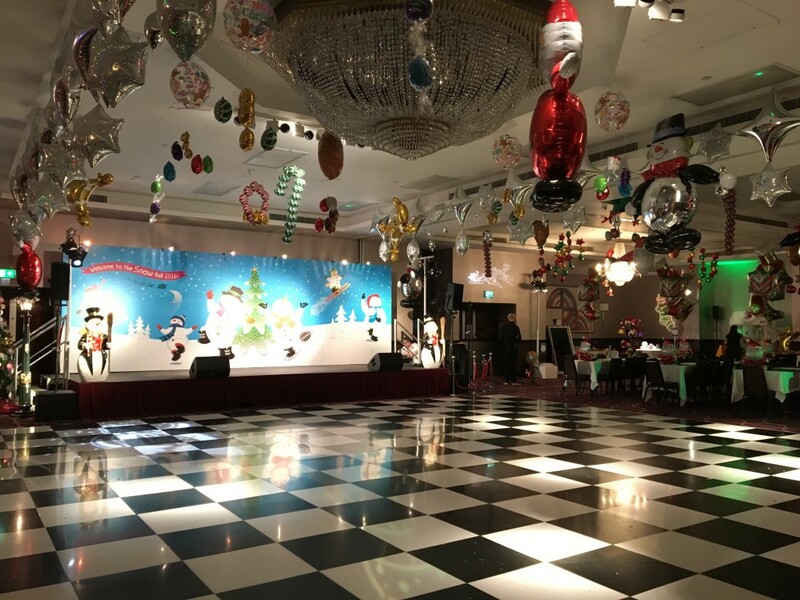 The hall itself, decorated with Christmas balloons and snowflakes, gave us that real festive feeling so we can only imagine how the children felt! Prepped and primed for goody bag duty, our day went in waves of quiet periods to absolutely manic. We worked out an excellent system of front-end list tickers and back-end goody bag passers, and I think it’s safe to say we worked up a bit of a sweat! But above all of this, we all agreed that it was the loveliest, sweetest way to spend our day running up to Christmas. The excitement on the children’s faces on receiving their goody bags packed full of things to spark their imagination and creativity was absolutely priceless and we couldn’t thank GOSH enough for letting us be a part of their special day. 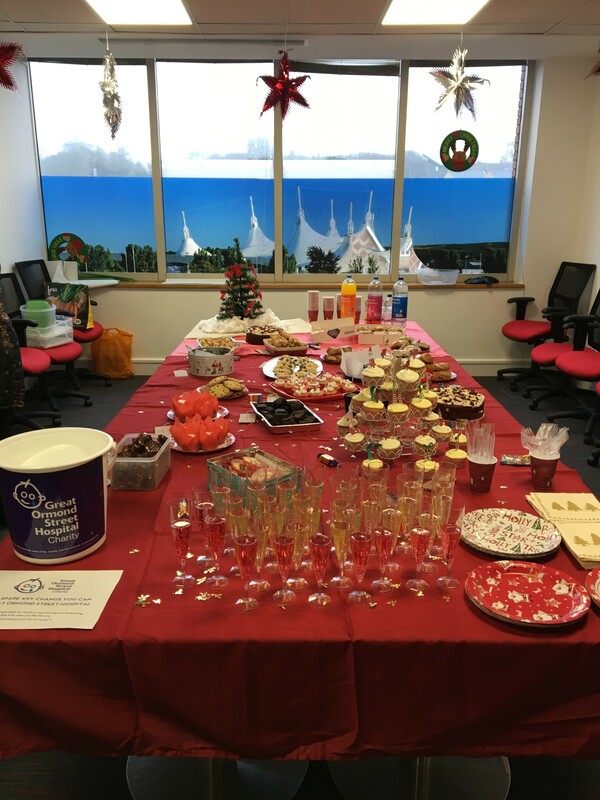 As a final fundraising push and to round off the year, earlier this week the Butlin’s Central Support put on a GOSH bake sale and Christmas raffle. Our rumbling stomachs saw the likes of homemade chocolate cookies, brownies, red velvet cupcakes, cheese straws (a strong favourite! ), sausage rolls, and lots more delicious treats. Our bake sale and raffle raised £335, adding to our grand two year total of around £280,000! And we couldn’t think of a better cause! We’ve been up to so much this year, including a swim-off at Minehead, the GOSH Summer Party and of course the big one, our secret Monopoly challenge. A massive thank you to everyone who donated or sent a Christmas message this year, you’ve been absolutely integral in helping our Butlin’s team raise so much money for GOSH. Merry Christmas and bring on the next challenges in 2017! Thank you from everyone here at Butlin’s!